Hooray! We just finished our first month of our 30th season at my studio and everyone is starting to calm down and get into the pattern of the new season. It is always a busy and exciting time when we go back to school and back to dance school… new faces and new classes! Repeating the same thing as last year and expecting different results really is insane… I did labels again this year for the preschool classes only to have TWO stuck to the marley this year. Note to self: you are insane.. no more labels please. No matter how long you have been in business, you have NOT heard it all. There will always be a parent or student ready to supply you with a question that you are unprepared for. This year’s winner: Does she need to wear tap shoes for tap class? Don’t put any book/magazine in the waiting room that you actually want back in one piece. When decorating your studio remember – pink with never go out of style, but consider the few (or many) boys you also have at your studio. Are you scaring them away with all that pink? While this may be your 5th year (10th, 30th, 50th!) 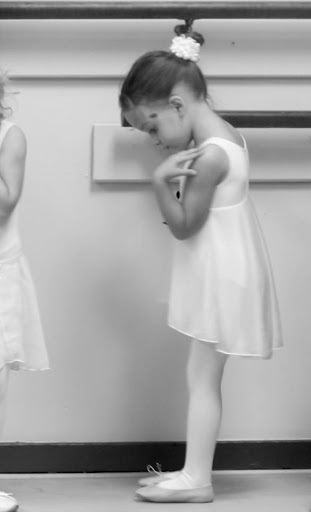 teaching, to some of your students (and parents), it is their FIRST DAY of dance. Take time to enjoy the magic of their first experience and memories in the making. Hope you survived your first month back and best wishes for a wonderful season!